The digital world has transformed modern business, but wherever there’s an opportunity there are also risks. Here are 10 cybersecurity threats you should be aware of. As the Internet of Things grows, so will distributed denial-of-service attacks. Millions of new devices are coming online, everything from fridges to cars. But if not secured, they could all be hijacked to bring down websites. Data remains cake and theft of data is still on the rise. The well-publicized and financially disastrous leaks of recent times will become much more common and less companies with large amounts of personal data improve their security policies. Have you got this covered? Web Apps are under attack more and more. It doesn’t take a genius to launch an SQL injection for example, so more people are having a go and the more who try, the greater the risk to you and your data. Can you keep them all up? Things are going to get personal with the increasing use of ransomware. Being locked out of your system or blackmailed over personal details until you pay a release fee is getting more and more common. Are all your weaknesses covered? Passwords being forgotten, shared, and stolen is forcing many companies to introduce biometric sensors to protect their data and employees. Are you looking at this? Adobe Flash is in the spotlight for websites, as there are just so many vulnerabilities in browser plugins and it’s a common way of delivering malware. So what’s your usage policy? The insider threat is unavoidable. Whether careless or malicious, your employees are the ones that can most easily compromise your valuable data. But there are ways to protect it. Because whom can you really trust? Check the mail carefully. Phishing is getting harder to spot, professional criminals are doing really sophisticated things online and even complementing it with highly convincing activity offline. Are you helping your people stay safe? HTTPS will become the norm as more and more websites are using it by default to serve their web content more securely and increase customer. But are you up-to-date with the challenges this creates? Companies need expert help. 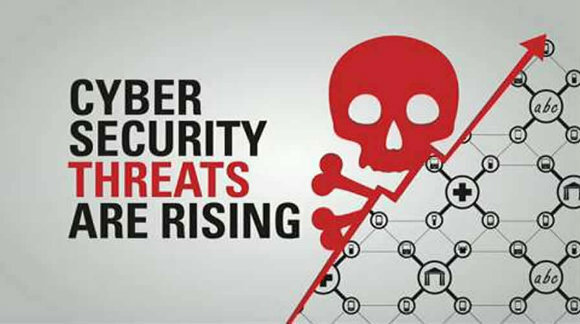 Just as the threat is growing, the supply of cybersecurity specialists that can help your organization is a must. Have you really thought about what you need? Be prepared and think secure!